Nothing's nicer on a Saturday morning than pancakes! 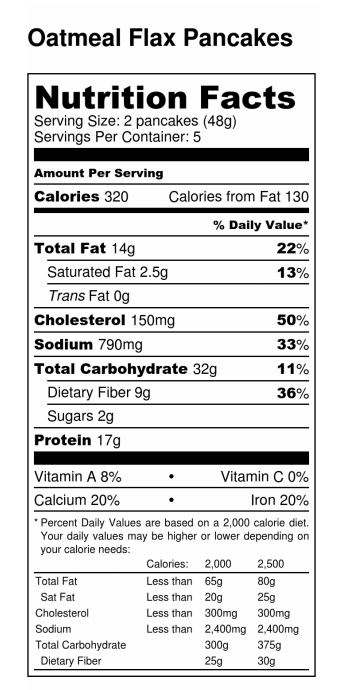 But many Diabetic ladies think pancakes will raise their blood sugar too much! Good news...your blood sugar will love my pancake recipes. I've shared 2 pancake recipes for Diabetics in this post for you...because why just have one pancake recipe when you can have two! Both of my pancake recipes for Diabetics (or Prediabetics) are designed to keep your blood sugar stable for hours. Better yet, they taste delicious too. These pancakes can even substitute for a wrap! BONUS! So let's get right into it and get enjoying some pancake recipes for Diabetics. So you know, my family and I are in a big battle arguing over which of my pancake recipes for Diabetics tastes the best. 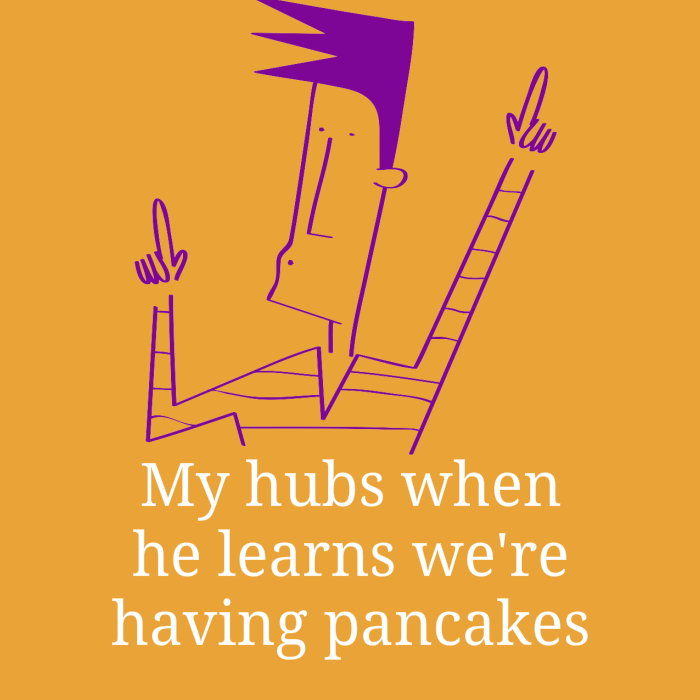 AND my hubs is just super happy to have any pancakes I might make...I'll keep you posted as to who wins the pancake vote! Blend the oatmeal into a flour. Remove from blender. Add all the other ingredients (milk substitute, salt, baking powder, eggs) to the blender and blend until mixed. Add the oatmeal flour back into blender and blend thoroughly. Pour about 1/3 to 1/2 cup of batter into a heated non-stick pan. Flip your pancake when bubbles begin to form. Keep your cooked pancakes in the oven on warm until you are ready to serve. 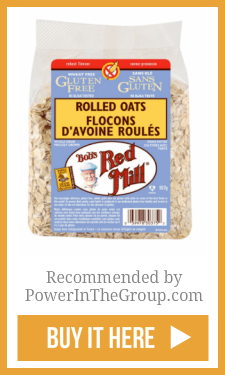 Oats help control your blood sugar! "On the whole, this review has revealed an improvement of glucose, insulin sensitivity and lipid profiles after oats consumption. Compared with a control meal, a single meal of oatmeal also showed superiority of acute glucose and insulin responses." The Metabolic Effects of Oats Intake in Patients with Type 2 Diabetes: A Systematic Review and Meta-Analysis. Nutrients. 2015;7(12):10369-10387. Blend the oatmeal into a flour. Remove from blender. In a bowl, hand-mix the oat flour with the flax meal and dry ingredients. Add all the wet ingredients (milk substitute, eggs) to the blender and blend until mixed. Add the dry ingredients back into blender and blend thoroughly (don’t blend for long though...flaxseed meal gels up quick!). You have to stay away from sugary syrups when it comes to your pancakes otherwise your blood sugar will not like it! Stick with fruit, coconut-milk yogurt or chia jam. Not sure about fruit and Prediabetes? Learn more at Can I Eat Fruit With Prediabetes? 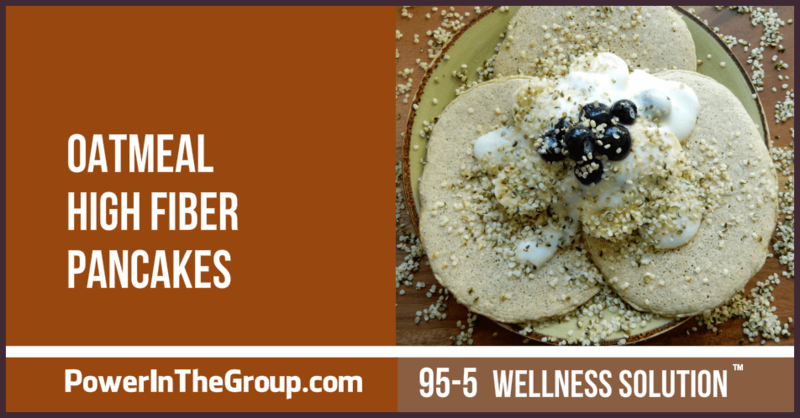 Both of these pancake recipes for Diabetics give you a pancake that is tasty even out of the fridge! And the pancakes are super spongy too so you can wrap things in your pancake! Or use your pancake to replace bread! How about scrambled eggs, chopped tomatoes and sliced avocado all wrapped in a pancake? Sounds super yummy to me! 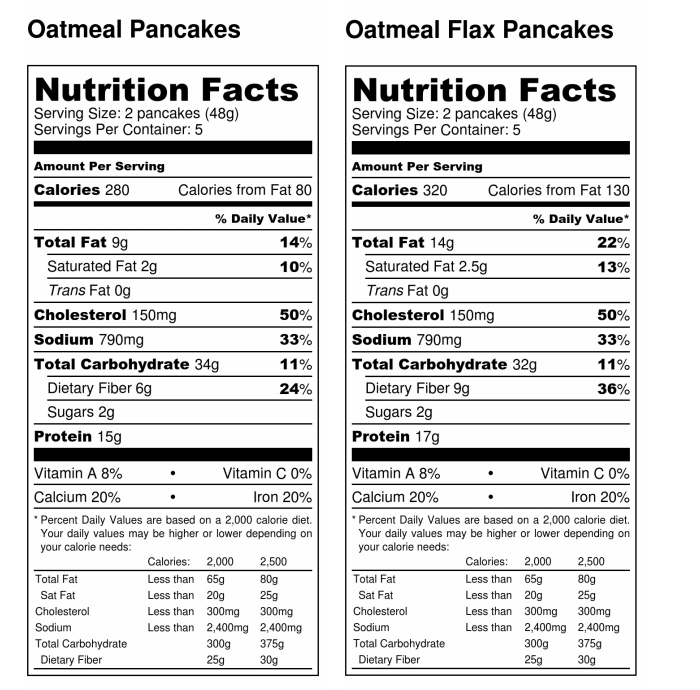 So, now you have 2 different pancake recipes for Diabetics! Now let us all know in the comments below which recipe YOU will be trying first. 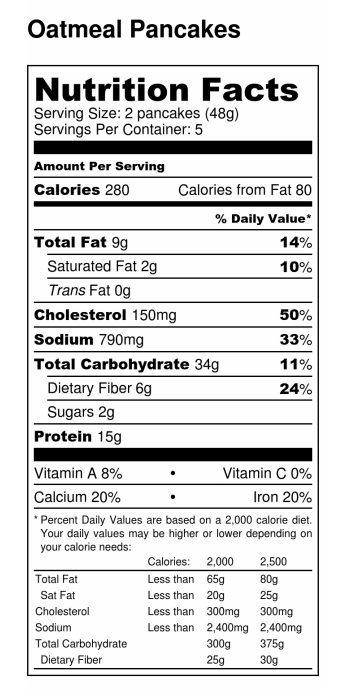 Not Sure What Oats To Buy? When you're using oats as flour, make sure you buy the Thick Rolled Oats that require a bit more cooking -- NOT Instant Oats! Thick Rolled Oats have more fiber and will keep your blood sugar stable for many hours after you eat them...but Instant Oats won't since most of the fiber has been taken away.